Iron Studios has posted product pages for two new Marvel Comics Statues. 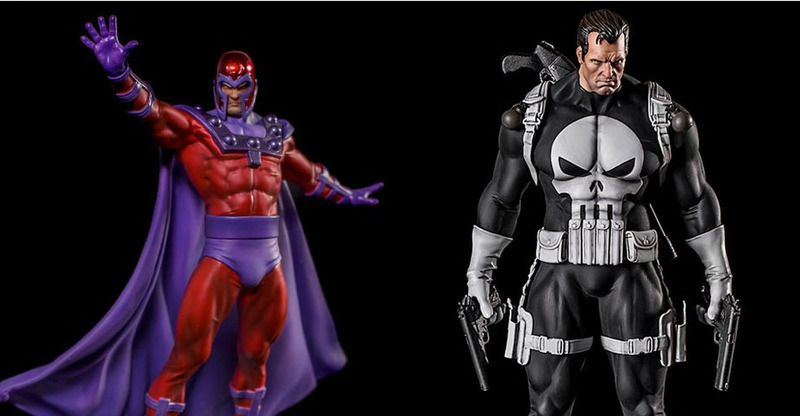 Joining the 1/10 Art Scale Statue line up are The Punisher and Magneto. The statues stand between 8″ to 10″ tall, depending on pose, and include specialized statue bases. They are priced at $89.99 each, and look to be available now! You can order at the links below and see the photos by clicking the headline of the story. Punisher Marvel Comics Series 3 – 1/10 Art Scale – Made in Polystone – Hand-painted – Includes base – Includes 2 pistols ———————————- Magneto Marvel Comics Series » Continue Reading. The post Marvel Comics – The Punisher and Magneto Statues by Iron Studios appeared first on The Toyark – News.